PORTLAND, Ore. – In celebration of the national Craft Brewers Conference taking place in Portland this month, Cascade Brewing will be hosting the inaugural Sour and Wild Invitational from April 14 to 18 on the production side of the Cascade Brewing Barrel House, 939 SE Belmont St. The Sour and Wild Invitational will feature a number of exclusive Cascade blends alongside unconventional – and in some cases rare – sour and wild beers from breweries around the country. There will also be a limited food menu available, as well as a merchandise and bottles sale station. Hours for the event are 3pm to 11pm April 14-16,3pm to Midnight April 17 and Noon to Midnight on April 18. There is no admission to attend the event. Admittance will be limited to ages 21 and over. Cascade Brewing, which is known worldwide for its NW style sour ales, will be featuring dozens of its sour beers; some of the highlights include Cheri d’Amour, Cherry Bourbonic, Hibiscus Rose, Honeycot, Mad Mango, Manhattan 2013, Melon Melange, Pineapple Wheat, Shrieking Violet, Vintage 2011 Elderberry, Vintage 2012 Frite Galois and Vintage Blackberry 2009. Cascade will also be selling vintage bottles of past favorites, including, but not limited, to Apricot 2012, Bourbonic 2011, Figaro 2012, Kriek 2012, Sang Noir 2012, Strawberry 2012, The Vine 2012 and Vlad the Imp Aler 2011. The Cascade Brewing Barrel House will be open regularly scheduled hours and will operate independent of the Sour and Wild Invitational. 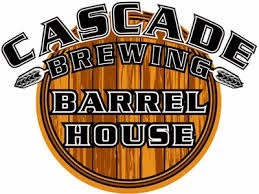 For more information, visitwww.cascadebrewingbarrelhouse.com or call 503-265-8603.